Africa Rising is the contemporary African Art exhibit that opened in Paris on October 6th, the last day of Paris Fashion week. 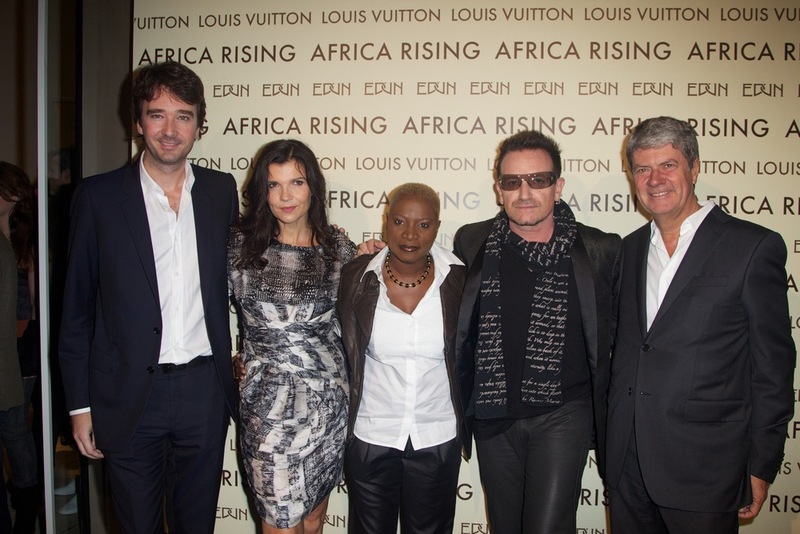 It is the love-child of Ali Hewson and husband Bono who have directed the world’s focus towards the living conditions of the peoples of Africa for decades. This time, they want the focus to be on all the positive things happening on the continent. Joining Ali and Bono in their efforts this year is the French Luxury Brand LVMH. Louis Vuitton, a company recognized for its support of the arts and its Core Values program, collaborated with designer Ali Hewson to manufacture a signature bag, the Edun bag, named after her line of designer clothing. It is the first time LV has manufactured anything 100% in Africa, in this instance, Kenya. That a contemporary art exhibit dominated the social scene of Paris Fashion Week is both fitting and triumphant. 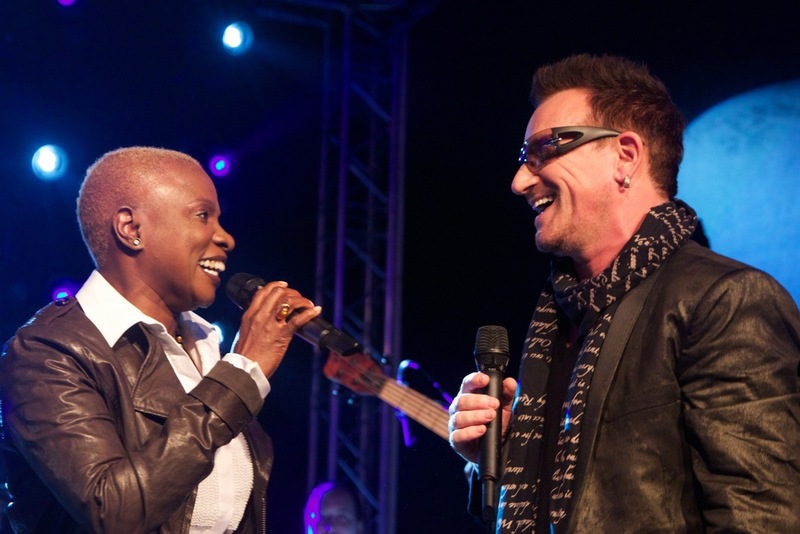 It probably helped the cause just a little bit that rockstars such as Angelique Kidjo and – of course – Bono, took the stage to perform for the select crowd in support of the cause. Alexandra Richards, daughter of Keith, provided DJ tunes. But the real stars of the show were the contemporary artists and their artwork on display. Louis Vuitton, Lancel, Stella McCartney…These are some of the biggest names in the fashion industry worldwide. Each of them have debuted IT bags this year, and those bags happen to be Eco-friendly and/or Ethically oriented. See More Photos of Ali and Bono wearing Edun and sporting LV on LouisVuittonJourneys.com. Photo by Annie Leibovitz. 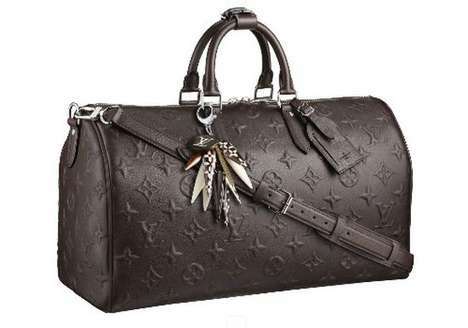 Louis Vuitton has partnered with Edun to design the limited edition Louis Vuitton monogrammed Keepall 45. The Every Journey Began In Africa joint ad campaign which features Edun designer Ali and her husband Bono wearing Edun ethical fashions and carrying the Keepall 45 LV tote as they step out of a small plane onto the sweeping grass plains of Africa can be found at LouisVuittionJourneys.com. Photographed by Annie Liebovitz, it is one of those ad campaigns that are the stuff of legends. Louis Vuitton limited edition Keepall 45 "Edun" bag. Edun is the fashion brand started in 2005 by Ali Hewson, Bono’s wife, that is ethical, organic, and, since last year, 49% owned by LVMH luxury brands, the parent company of Louis Vuitton. During Paris Fashion Week, Edun and Louis Vuitton will unveil a temporary Art Exhibit, Africa Rising, an exhibition of contemporary African Art, alongwith Edun’s Spring collection and a showcase for the campaign. The Louis Vuitton Keepall 45 Edun’s signature charm on the bag (also sold separately) was handcrafted in Kenya by the fair-trade jewellery label MADE. It is the French firm’s first made-in-Africa product. All proceeds from sale of the LV Keepall 45 Edun bag, as well as the photo fees earned by Bono and Ali, will be donated to Technoserve and the Cotton Initiative. Pictures of some of the 800 organic cotton farmers who make up the Cotton Initiative are on the LVJourneys site along with Ali speaking about the underpinnings of the (organic) Cotton Initiative and how EDUN is a fashion line she created to support this. Its presence in a Vuitton campaign gives Edun — and its mission to eradicate poverty through sustainable enterprise in Africa — international exposure, said LV’s director of communications, Antoine Arnault. 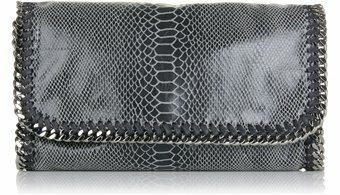 Stella McCartney's Falabella Chain Strap It Bag. Always Eco-Friendly. Always kind to animals. Always Fashion Forward. 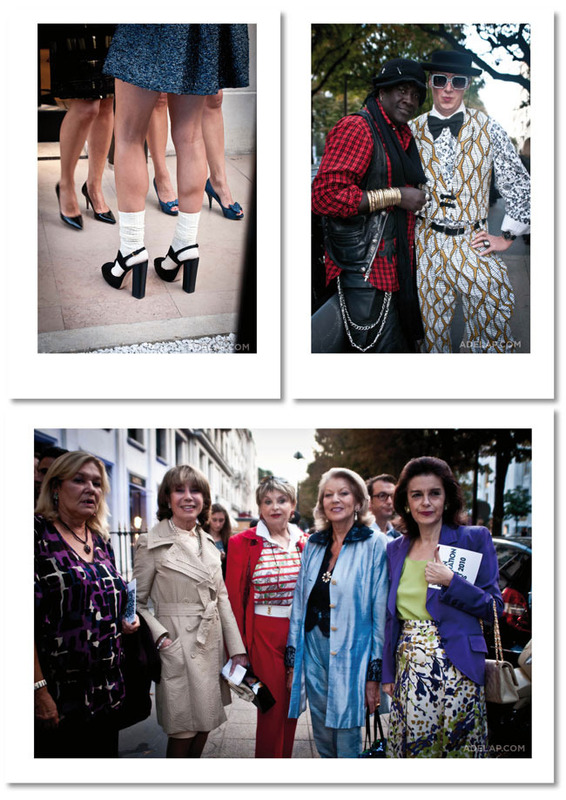 Photo courtesy Stella McCartney. Stella McCartney, a life-long vegetarian, has always maintained that she will not use leather, animal skins, or fur in her designs. This is the season, once again, of leather and fur but Stella’s faux-leather Falabella Bag, the season’s IT bag as far as celebrities such as Rihanna, J. Lo, and Kate Hudson are concerned, has that bred-in Rocker Chic without sacrificing one gram of Eco Ethics. Rihanna heads to the Studio with her Falabella bag by Stella McCartney. Photo courtesy Handbagdujour. 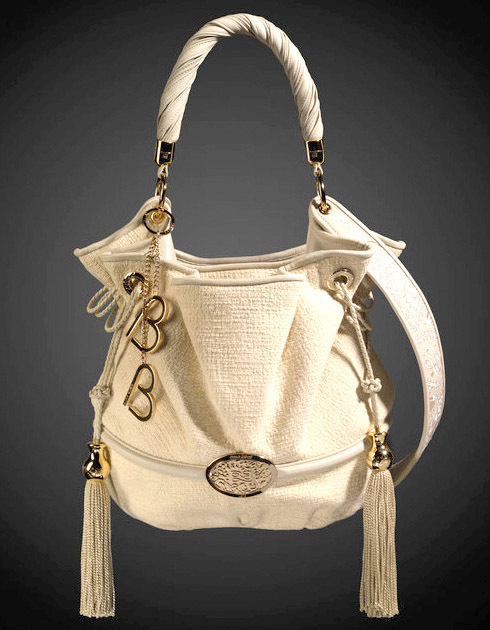 Lancel'S BB Bag, inspired and co-designed by Brigitte Bardot. Bardot, a life-long animal rights defender, chose to use Eco-friendly and animal-friendly materials for her BB Bag by Lancel. Which brings us to LANCEL. A revered leather goods and fashion icon brand in France and known the world over, their BB bag seduced not just the shores of St. Tropez this summer, but quickly became the must-have IT bag of fashionable, well-dressed women across the continents. The Lancel BB bag was designed by (namesake) Brigitte Bardot who added personal touches to the bag such as the wide shoulder strap inspired by the guitar strap from when she strummed her strings on the famous Tropezienne shores between takes from the And God Created Woman film set back in the 50’s. Using a different approach, luxury leather goods company, Lancel, did not do an all-out campaign promoting the Eco-ethics of its bag. But anyone who knows anything about Brigitte Bardot would quickly realize that a bag designed by one of the most vocal animal rights activists on the planet would necessarily be leather-free. To simulate leather/ suede the bag’s rich dark chocolate incarnation is made from Alcantara, which looks every bit like suede and is soft and supple to the touch. In addition to the world of fashion, Alcantara is used in interior design features of yachts, and for interiors of the Maserati and Lamborghini. Brigitte Bardot used her guitar strap as an inspiration for her BB Bag design. The Lancel BB Bag is Eco-Friendly and Cruelty Free. The BB bag was designed to capture the feminine allure that Brigitte exuded as a film Goddess. The shape of the bag itself is reminiscent of a woman’s hourglass figure. No animals were harmed in the creation of the bag, it is entirely cruelty-free. A fact that hasn’t harmed the bag’s wildly popular success. Indeed, on a recent jaunt along the Champs Elysées, in Lancel’s flagship shop, the BB Bag in Beige is to be had only by special order! What shouts a message louder than silence? Nothing! Edun, oh by the way, is ENTIRELY ECO! 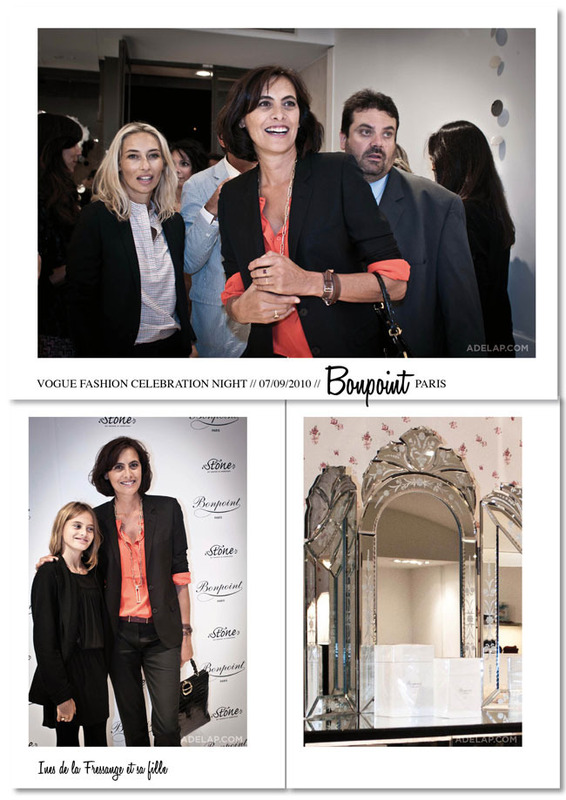 And now some scenes from last week’s Vogue Fashion Night Out a’ Paris! Ooh La La!! What a tease for Paris Fashion Week.